From a perfect combination of Spearmint & Peppermint flavoring comes Stick gum 2x mint flavor. 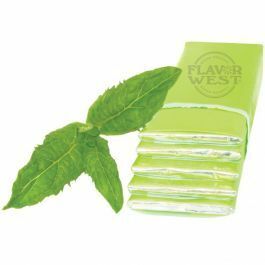 This flavor gives you a refreshing delicious burst all wrapped up in one amazing, wonderful minty experience. Type: Stick gum 2x Mint Water Soluble Flavoring. Ingredients: Natural and Artificial Flavoring, Propylene Glycol and Ethanol. USP Kosher Grade Flavoring. Usage Rate: 15-20% for E-use. Flavor Suitability: Suitable for desserts, ice creams, pastries, candy, lip balm and more. Specific Gravity: 1.04 No Refunds on Flavoring.